For a service provider business, it is their main objective to provide outstanding customer service. It is a service providers smart goal or target to make their customers satisfied and happy. At first, there would always be shortcomings when providing services and a those flaws would really need to be improved. There are many ways to improve a business’s service. One way would be to use questionnaire examples that states how satisfied a customer is to the service they have received. Feedback is one significant requirement in the process of improving the quality of the service. 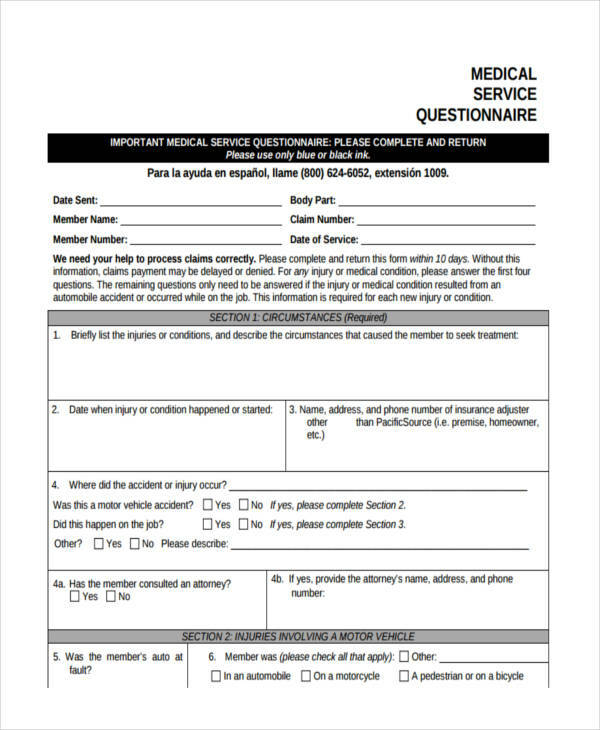 What is this type of questionnaire? 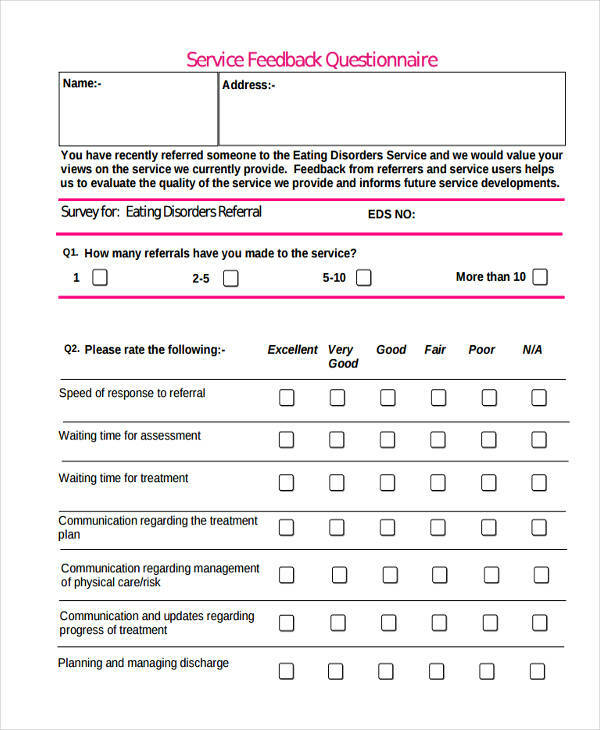 As mentioned earlier, one way to improve quality of a service is through a questionnaire. 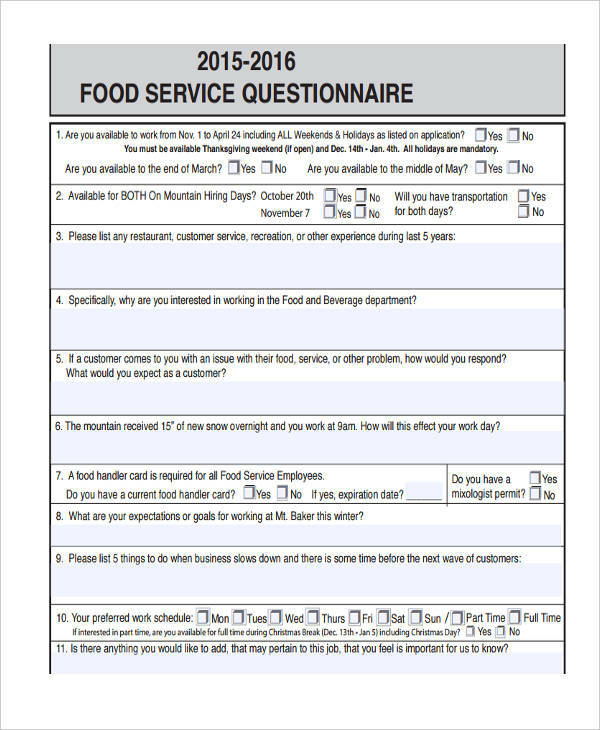 This type of questionnaire is called a service questionnaire, which contains questions related to the services that a business renders to a customer, aiming to achieve feedback that can help business improve the quality of their services. 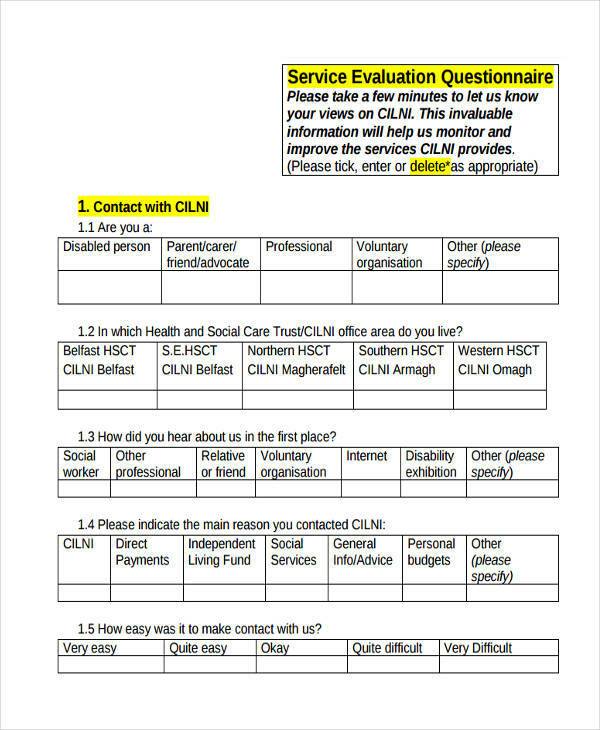 A service questionnaire can tackle about how customers are satisfied with the services provided to them as well as how it did not satisfy them, which we hope not, and what they would like to suggest for improving service quality. 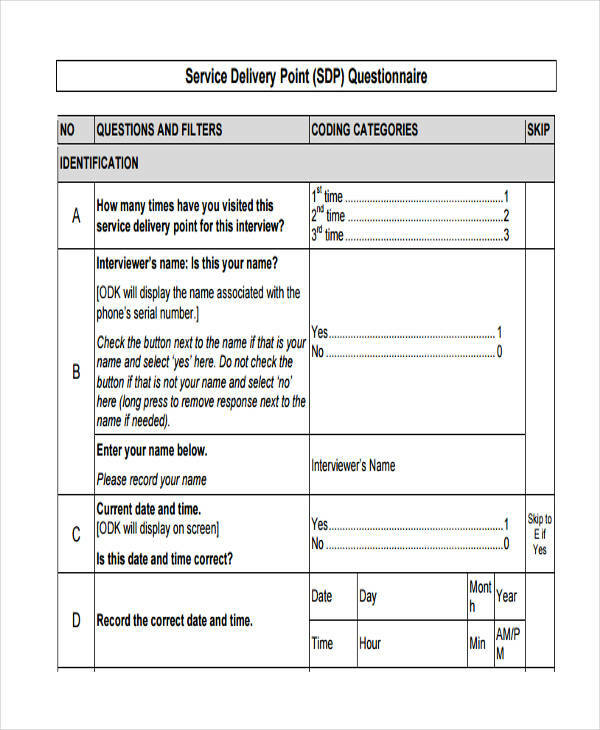 How to Create a Service Questionnaire? 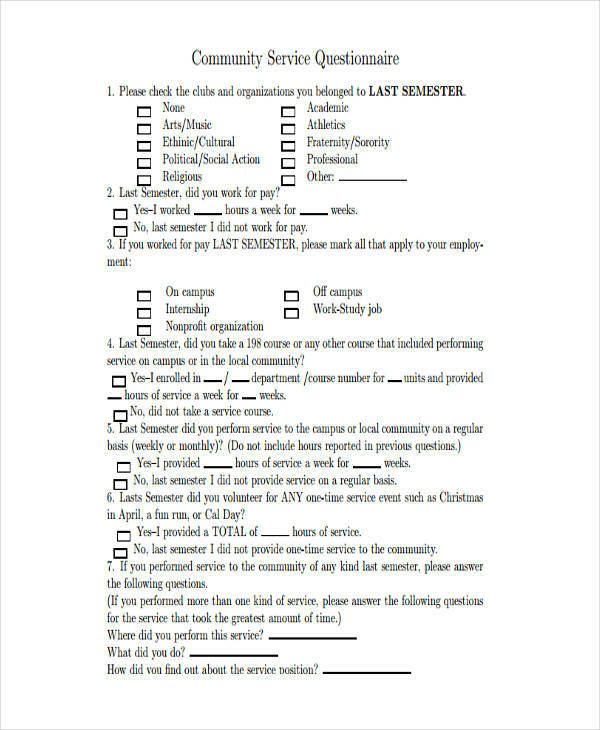 Now that we know what a service questionnaire is, we would also have the idea on how to create one. Service questionnaires don’t have any standards, format or whatsoever. What matters are the questions and the desired answers. 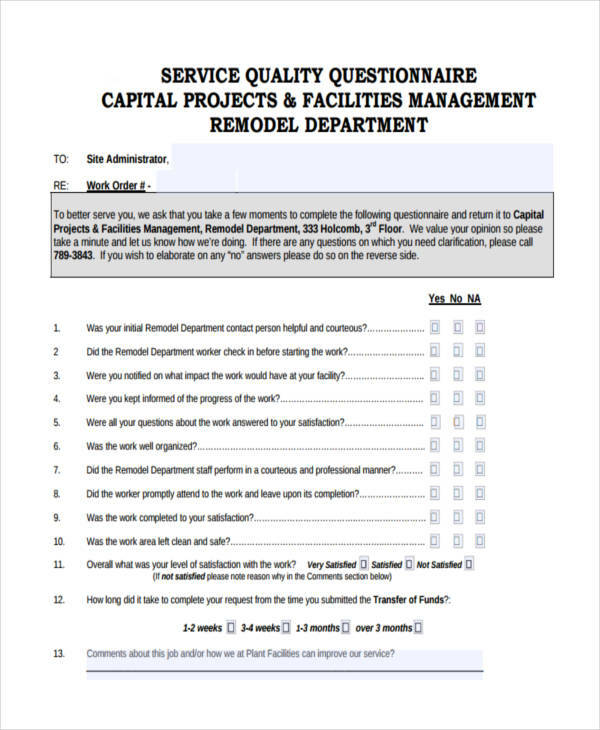 To make the questionnaire, businesses have to formulate questions that asks about the service they are providing. It must never be for another business but for their own business. Questions must be based from observations in the service of the business and questions like how much they rate their level of satisfaction should also be included. Make It Short. Service questionnaires must not be too long because this would require so much time for the customers to answer. Direct to the Point. 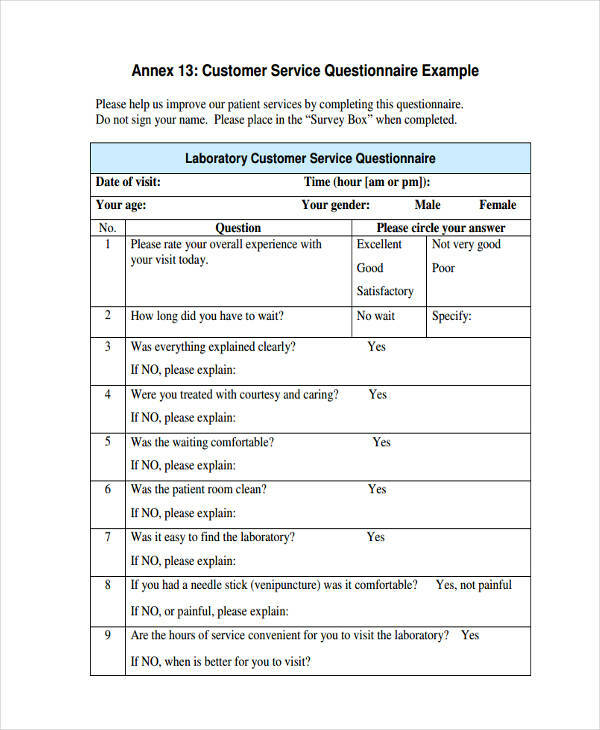 Service questionnaires are not test questionnaires that has to be complex. Remember that this is for the general public, so make it direct and use simple terms that can easily be understood. Use Close-Ended Questions. It is much more easier to analyze when answers are close-ended rather than open-ended. It can also be open-ended but questions that requires this kind of answer would for suggestions. Visual Presentation. It also makes a difference when you put a little bit more effort in making those questionnaires. Take time to put design. Through this, customers would have the impression that the service questionnaires made are not only for show but are really taken seriously by the management. With that, you make customers feel that what they think are meaningful.